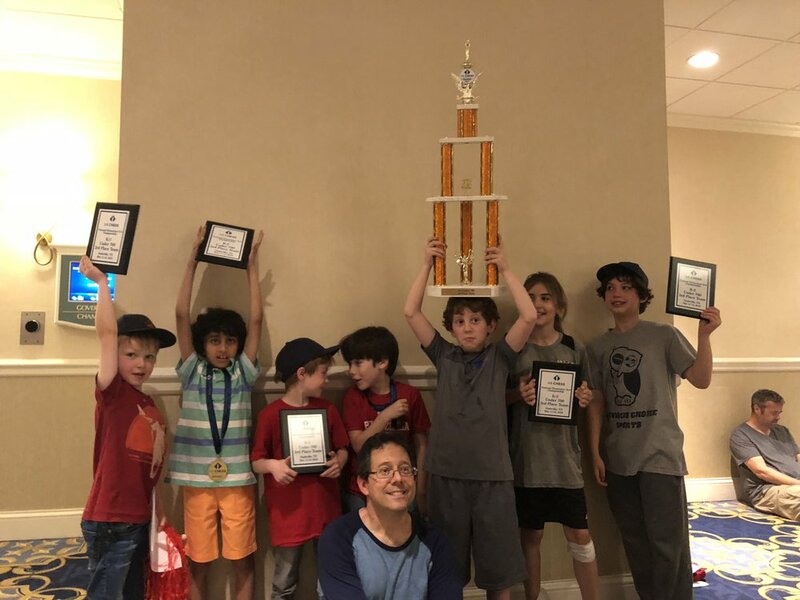 TPS brought 15 players to the Elementary National Chess Championship in Nashville, Tennessee this weekend (May 11-13). Here’s how we did. In the K3 Under 700 Division there were 299 players and 54 teams. TPS tied for 2nd with The Browning School of New York (3rd on tiebrakes), and we were just 1/2 point behind the first place team, PS 59 Beekman Hill. My expectations were pleasantly shattered!! We also had four players in the K5 Under 900 division. And although we didn’t place, I was very happy with the effort and improvement of our players! There were 60 teams and 370 players. Ben R. played in the K6 U1000 section and Max G. and George D. played together in the very challenging K6 U1400 section! Together, these two players made 6 upsets! Finally, Hugo G. played in his first chess tournament, winning 3/7 games in the K-1 Under 500 section! Congratulations to everyone and thank you to all our awesome chess parents and kids! We had a blast! Newer PostAny Jugglers in the House?